QUIZ: Find Out Which Toy is Perfect for Your Kid! Take our quiz and we’ll help you find the perfect gift for your child this holiday season based on their age and personality! Finding gifts can be so difficult! Especially if the child you’re shopping for isn’t your own (we see you aunts, uncles, and grandparents!). With hundreds of options and kids ever-changing tastes, it can be hard to navigate the toy market these days. That’s why the HEXBUG team created this quiz! All you have to do is answer a few questions about the child you’re shopping for, and let our gift finding quiz do the rest! It will match your child with a gift worthy of their attention. If you’re not into quizzes, skip to the end to see some other great picks from the HEXBUG team. Not so sure about your results? Scroll down to see more holiday options for all types of kids or check out our 12 Deals of HEXMAS happening NOW! The ultimate in construction toys! 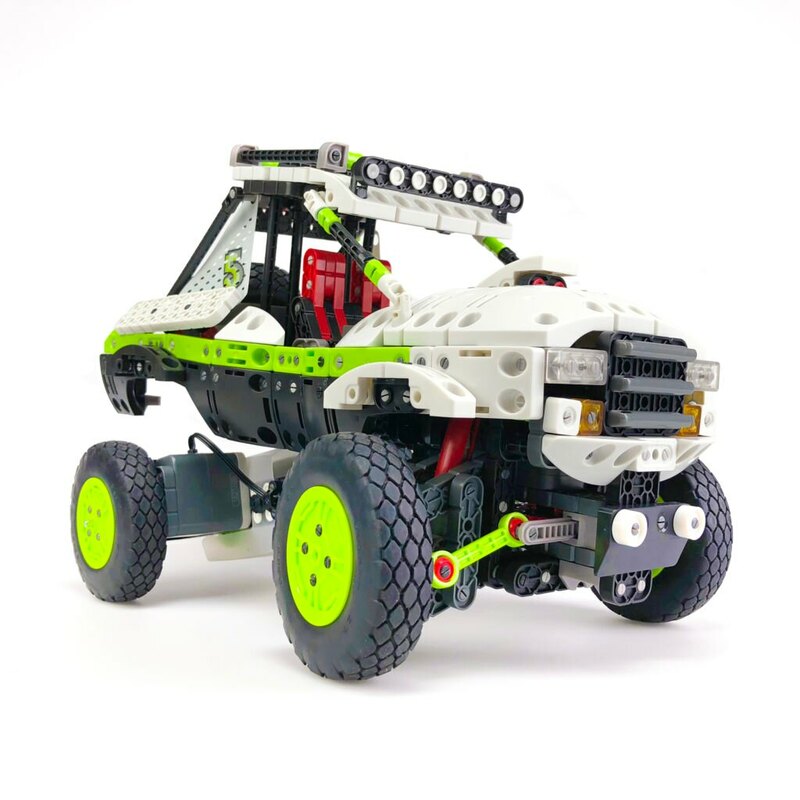 Assemble the VEX Robotics Offroad Truck (made of over 820 snap together VEX pieces) then connect the robot brain to a smartphone using the free VEX Pilot app to control the truck. Build this one with your kiddo for some extra bonding time and then let them drive it on all terrains! Made from over 275 pieces, the VEX Robotics Gatling Rapid Fire by HEXBUG is the ultimate handheld STEM build. Kids assemble the blaster, then aim and shoot soft, rubber-tipped darts! 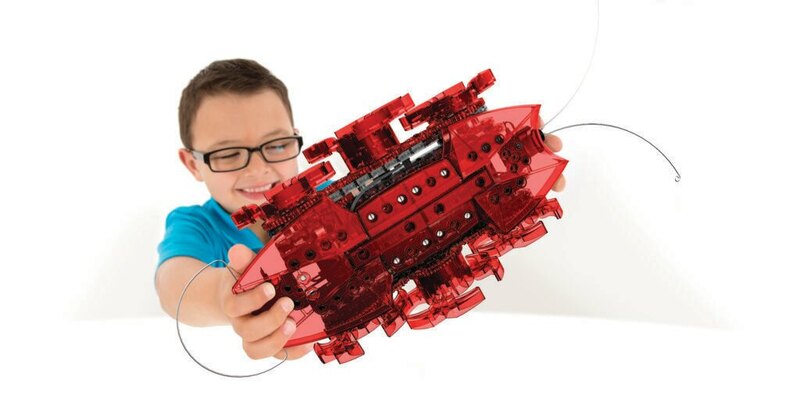 Perfect for a junior engineer in the making! Grab some friends for the ultimate game of robotic laser tag with HEXBUG Battle Ground Search & Destroy! Each robotic spider or tarantula shoots infrared light at opponents to get a tag, but watch out for the Terror Turret as it scans the game for unsuspecting bots! Win the game by capturing as many walls as possible before being taken out by your opponent or the Terror Turret. Build this launcher from the snap-together VEX IQ pieces, then launch the paper airplane over 20 feet! The VEX Crossfire Airplane Launcher is perfect for outdoor play for the kid with the adventurous (dare I say “mischievous”) spirit! Let your little one’s imagination take to the skies! (Okay that was cheesy but you get it). Each of the nano Space sets snap together and are compatible with one another. They’ll build their space station and then let their nano astronauts run through as they prepare for lift off. 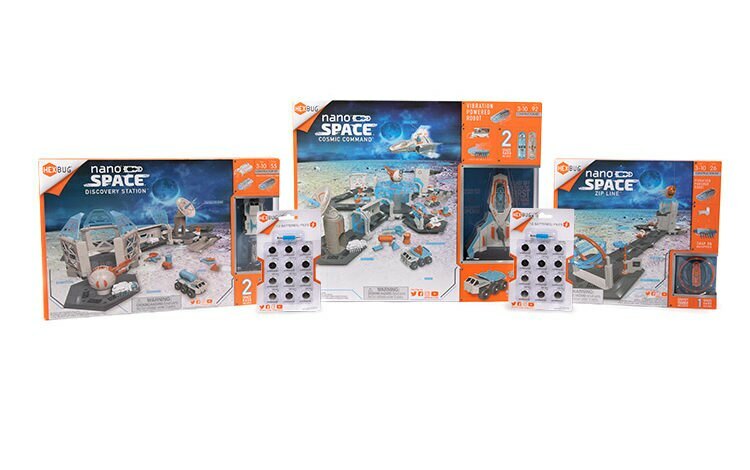 Load the nanos into the space ship for an interstellar playtime! BONUS: This whole set is on major sale now for our 12 Deals of HEXMAS! These cute figurines represent real-life, endangered species counter parts. 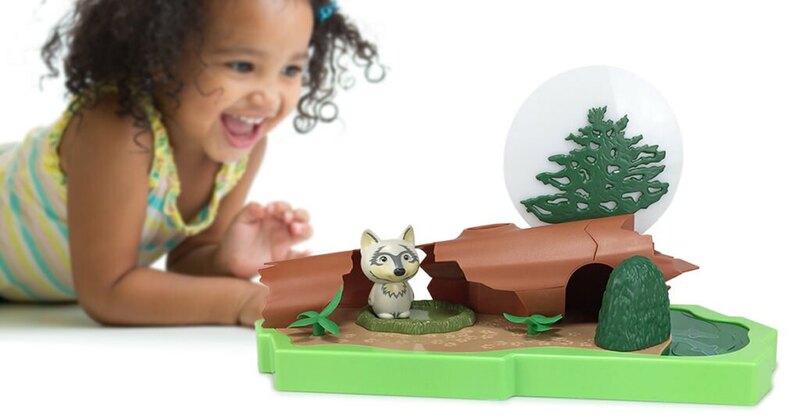 With over 20 touch activated sounds, these critters come with their own habitat and contain information about each species, teaching children about each endangered animal as they play! Get yours here! Remember the old Rock ’em Sock ’em Robots? Here’s one they can build themselves! The VEX Robotics Balancing Boxing Bots comes with two ready-to-assemble, self-balancing robots. Put them together and then control their every move with the free VEX Pilot app! It’s robot fightin’ time! Technology and sports collide with the ultimate robot showdown, based on the hit TV show – but here’s the twist – kids build their very own BattleBot! BattleBots Arena Pro comes with a fold out arena, two robot bases, and an assortment of weapons and armor. With up to four players, this is fun the whole family can get in on! This mechanical bug is super sized! Kids build their own motorized robotic ant with over 150 VEX IQ pieces and a centralized brain to bring it life! They can drive it manually with the remote, or choose autonomous drive mode and watch the ant scurry around by itself! Encourage that little one to crawl with a jumbo sized version of our original nano, the nano Junior (ironic, I know). Built to move with our patented vibration technology, this giant bug is brightly colored and coated in a soft flexible rubber. 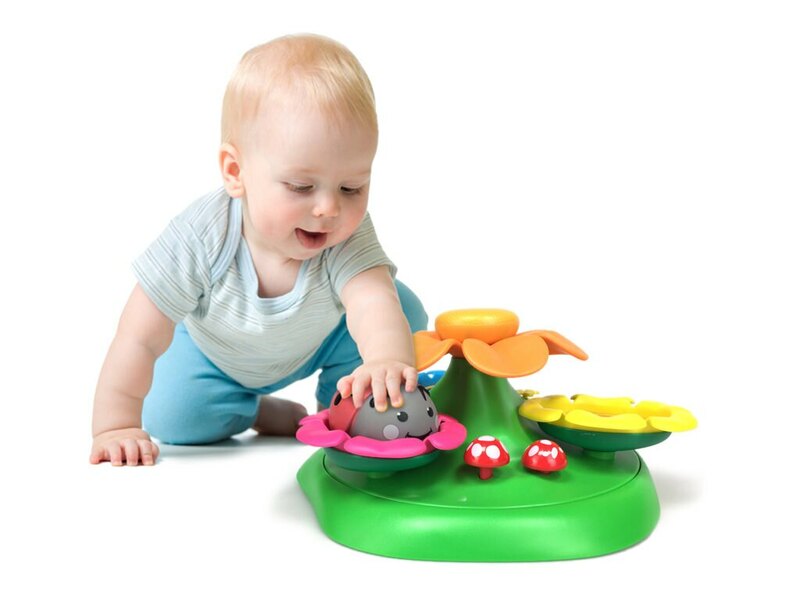 Watch baby chase the bug or let them hold it as a soother. Let your child’s imagination bloom! The Cuddlebots Garden Carousel contains interactive learning features to help expand a child’s budding imagination. Take a flowery spin on the Garden-Go-Round! As the Garden-Go-Round rotates, the smaller blossoms spin and sprout. Rotating the center flower makes the whole path spin for endless fun! Great for babies 18-36 months old. Take bath time to the next level! The AquaBots swim autonomously in any body of water (pool, bath, fish tank) and mimic the movements of real life fish! 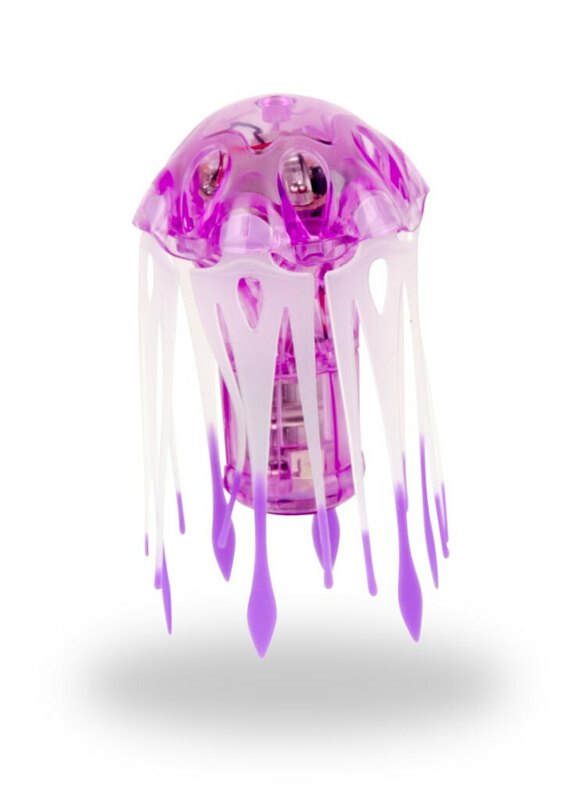 Available designs include the jellyfish, gold fish, angel fish, and sea horse.